We have 2 opportunities for you this time, one wants stuff, one wants your time. Both very good causes. If you can’t help out this time, that’s fine, maybe the next one will be right up your street. Maninplace is passionate about accommodating the homeless, but in addition to offering safe and comfortable accommodation we are driven by the desire to support the most marginalised of society. We do not see Homelessness as being the end of the road, but more the start of a new life journey. They need computers: Mike Holt asks “We have been awarded a sub contract to further support vulnerable adults in the Telford and Wrekin borough, as part of the contract we have a need to provide information hubs at three of our local offices and to take on two new members of staff to offer support to our customers. Our information hubs will need an extra computer to allow our customers access to websites providing information about employment and benefit services. We also need extra computers so that our new support staff and complete the necessary administration for the case loads. Sadly, as a non-profit organisation we do not have extra monies to fund such items and so rely on the generosity of local businesses and the general public to help us. If you know of any organisations or individuals who would consider helping us, we would be very grateful. We need 4 desktop and 2 laptops ideally, we can collect them if necessary or they can be delivered to our office in Wellington and we need them for as soon as possible really. If anyone wants to know more about Maninplace they can visit our website at www.maninplace.org.uk or call me on 248248. 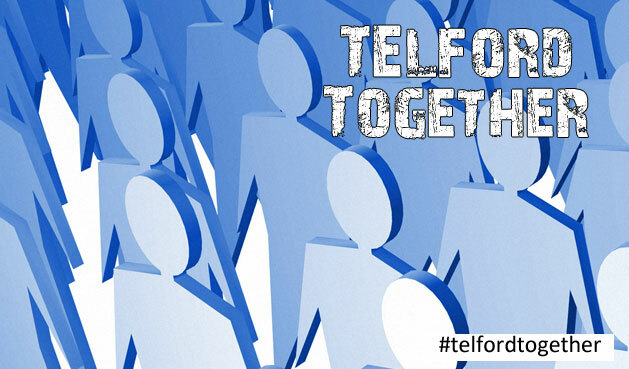 Each Saturday night volunteers from across Telford come together to run a safe space for clubbers in Wellington. We offer free drinks, toast, soup, basic first aid and a listening ear from midnight to four in the morning in a warm café and on the streets we keep a watchful eye over the vulnerable, giving flip flops to girls struggling to walk in high heels, and blankets to those without coats when the temperatures drop.